Box Printing Company offers the TTOB sleeves, or in extended terms our "Tucked-Top, Open-Bottom" sleeves, we offer a specialized box sleeve with a closing top and an open bottom for your product to be inserted through. Our TTOB Sleeve still gives the same benefits and versatility of our box sleeves as you can have virtually anything you can imagine printed onto your very own box sleeve with the addition of giving your product a clean and stylized look. 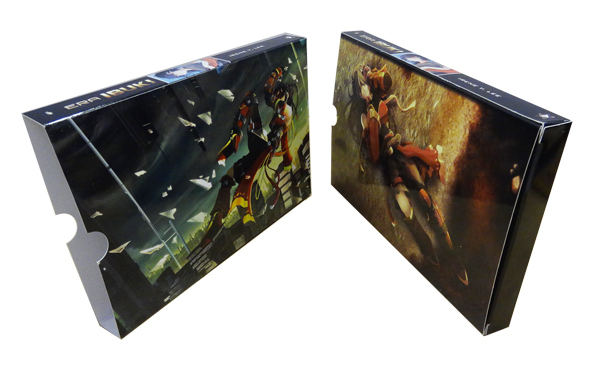 The TTOB sleeves are using wisely for Book case, DVD case and more…, we are offering a simple and cost-friendly solution to all your product packaging needs.